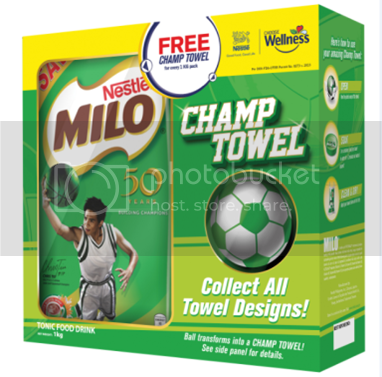 Promo| Free Milo Champ Towel Ball! My kids LOOOOVEEE Milo! And if your kids are the same them this will excite you as a parent. 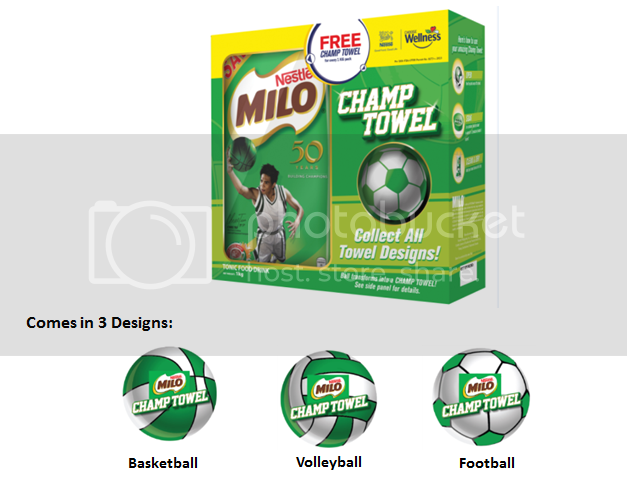 The leading chocolate malt beverage brand MILO has a special promotion that give 1 Milo Champ towel ball for every 1 kilo Milo pack purchased. The promotional pack is available in supermarkets nationwide and they come in 3 cool collectible ball designs for every child’s favorite sport - basketball, volleyball and football. Once you have the Milo Champ Towel Ball, peel off the plastic wrap, soak it in a container of water and wait for it to expand. Once it has expanded, make sure to laundry it first then hang to dry. Tadaaahh! A cute towel for you budding sports enthusiast. The great thing about Milo, aside from it being so yummy, it contains the malt extract PROTOMALT, a mixture of different type of carbohydrates that provide energy and nutrients that the body needs. The Chocmaltee drink is formulated with a combination of malted barley, milk powder, sugar and cocoa, coupled with the goodness of ACTIGEN-E, a combination of B vitamins and micronutrients – a source of Vitamin B12, Iron and Calcium, and it is a high source of Vitamins B1, B2, B3, B6, Magnesium, and Vitamin C to help optimize the release of energy from protein, carbohydrates and fat in food. For more information on MILO Philippines, log on to the official website (http://www.milo.com.ph) or the MILO Philippines Facebook page (https://www.facebook.com/milo.ph). Follow MILO on Twitter (@MiloPH) and Instagram (@MiloPhilippines).